Do foods spoil too quickly in your fridge or get encrusted with frost in your freezer? Does your washing machine shake itself across the laundry room whenever you use it? 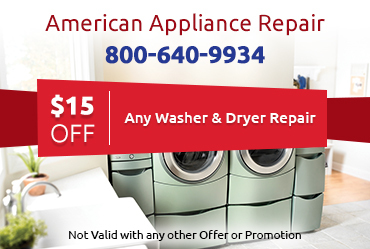 No matter what kind of appliance repair in La Crescenta CA you need, you can always expect to receive a reliable estimate and a fair and competitive price when you work with American Appliance Repair. 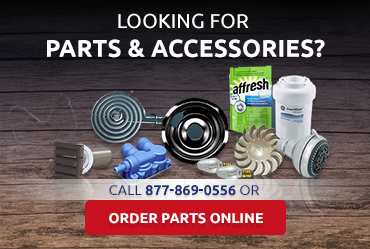 We only use quality parts and we take pride in getting the job done right the first time. Keeping our customers happy is very important to us here at American Appliance Repair. Because we always want our customers to enjoy hassle-free performance from their appliances, we make every effort to provide same-day service for all kinds of appliance repair in La Crescenta CA We’ll let you know what’s wrong with your appliance, how to fix it, and what the cost would be, but the final decision as to how to proceed will be up to you. 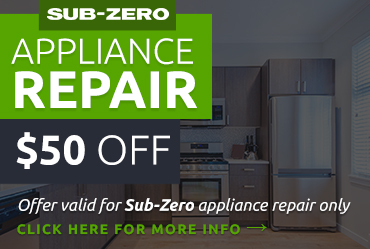 We’ll even provide our honest opinion as to whether a repair to an older appliance is really worth it, of if it would be more cost-effective to replace the appliance. Ready to Get Expert Appliance Repair in La Crescenta CA? 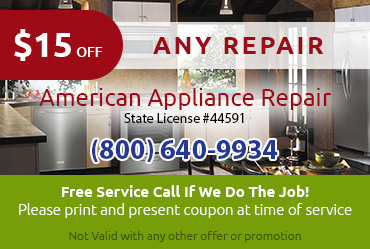 When you need any kind of appliance repair in La Crescenta CA, all you have to do is call or click. We'll have a seasoned professional helping you in no time.